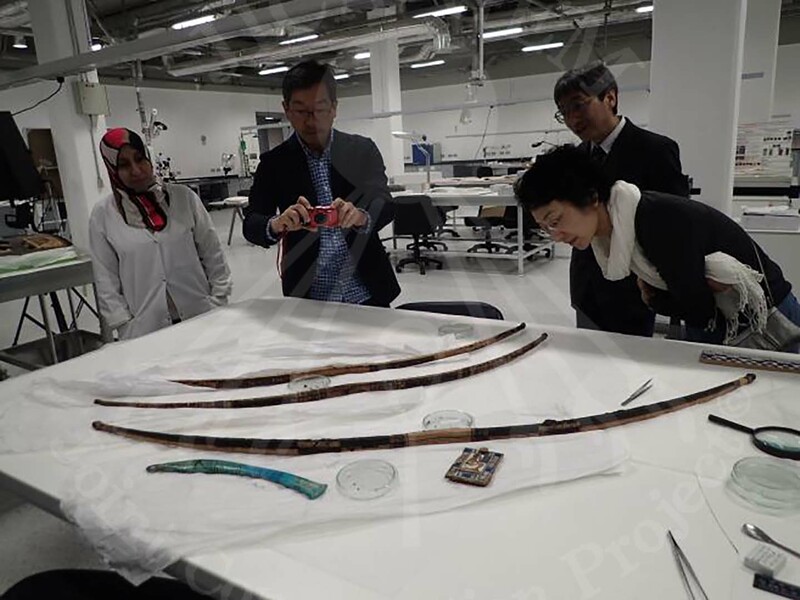 Starting from this week, March 27, The Textile team of the Grand Egyptian Museum has started documenting, discussing and making the new conservation work plan for the target artifacts with Dr. Ishii Mie. 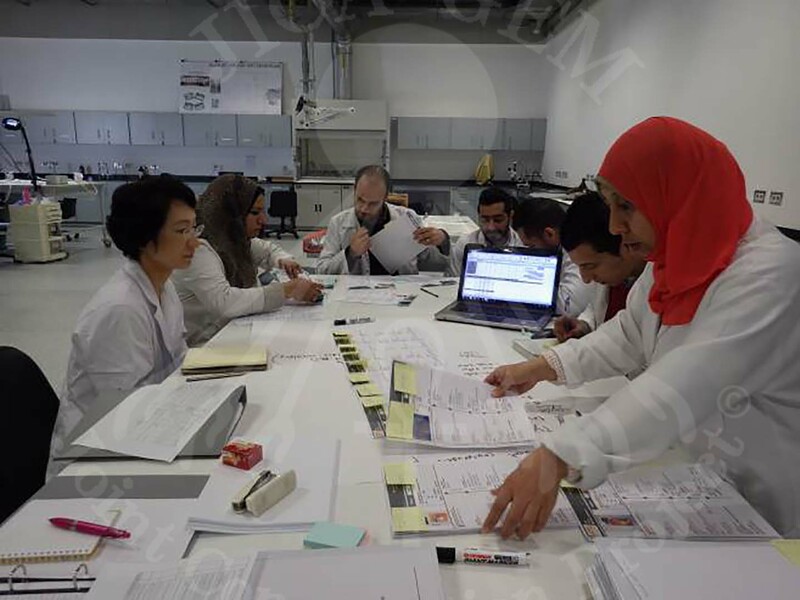 Ms. Eman, Mr. Nagm. 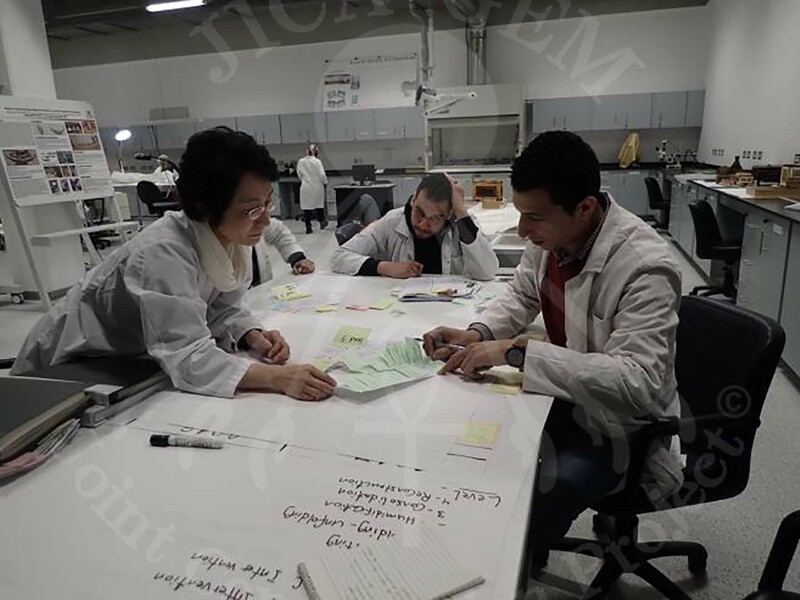 Dr. Ishii managed to set a new schedule for conservation work with the Textile Conservation team, in order to finish by the scheduled time for the upcoming opening. 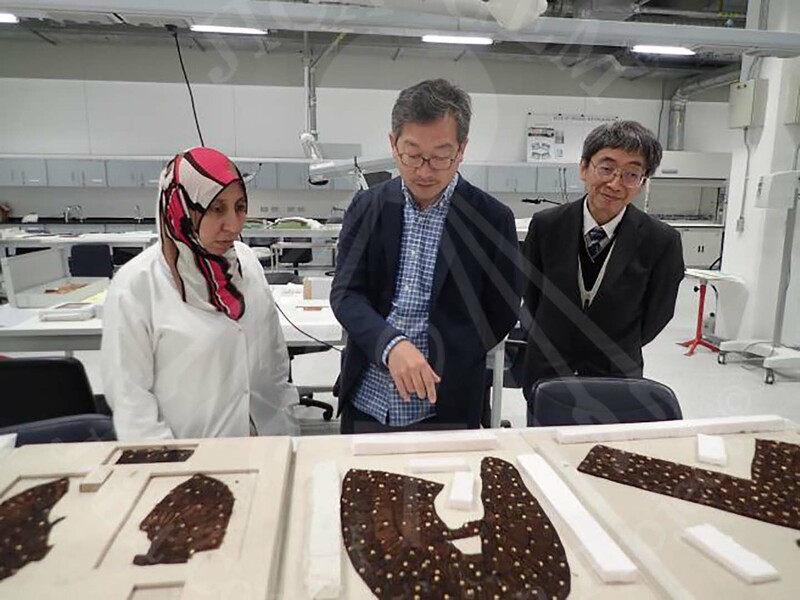 The Japanese experts have also checked with the Egyptian experts the current work process of the artifacts and materials.